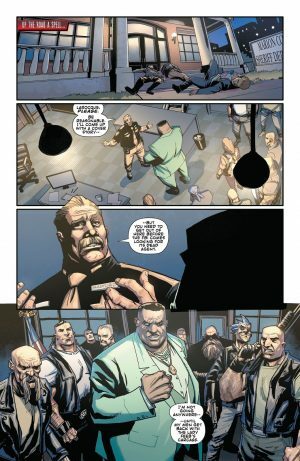 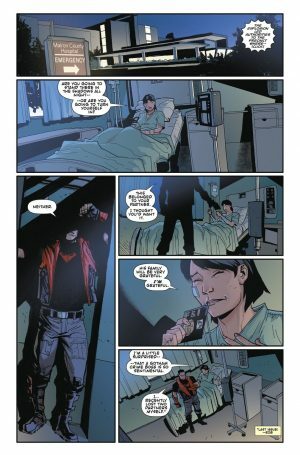 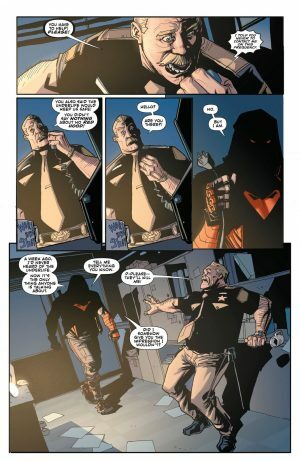 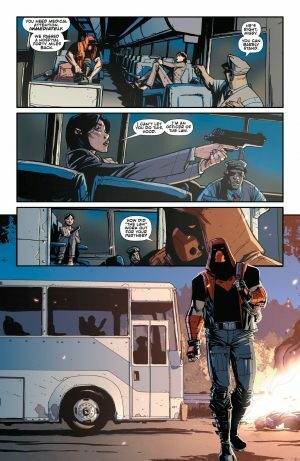 DC Comics Universe and Red Hood and The Outlaws #26 Spoilers follows. 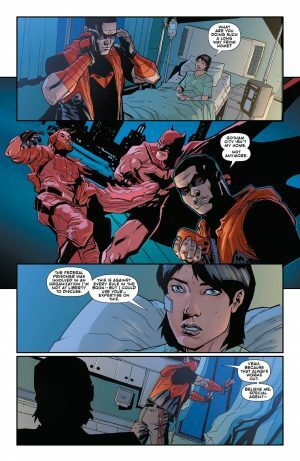 Why Did Jason Todd Leave Batman and Gotham City? Plus New Direction Starts Before The New Red Hood: Outlaw #27 Branding! 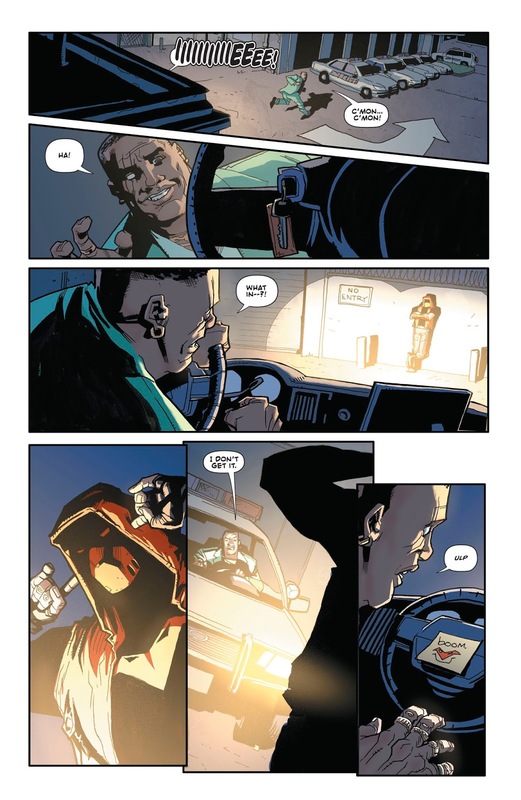 The books opens with the Red Hood on the road tracking down a new criminal cartel called the Underlife. On his journey he discovers a bit of a mess and a dead FBI agent. 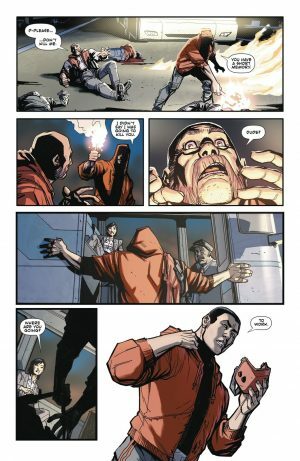 While it’s not clear how much of a killer Red Hood is or isn’t now is unclear, he does have some kind of code to live by that helps him decide when homicide his justified. 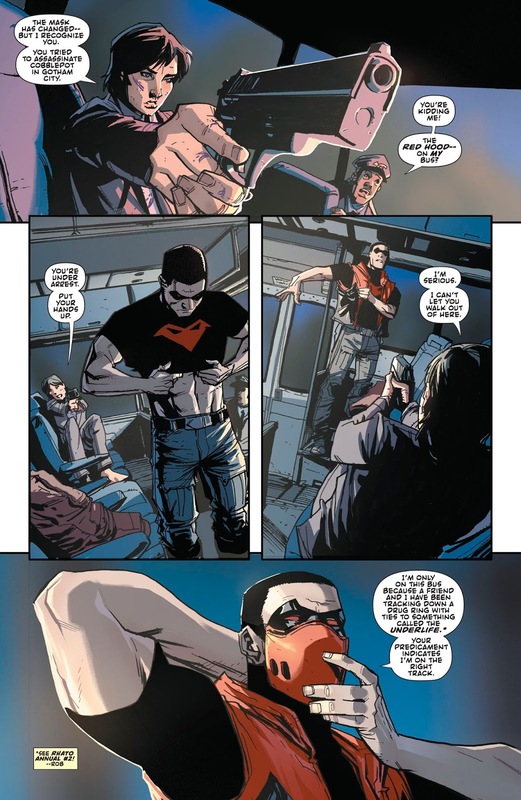 That said, he checks in on the law enforcement on the bus recognize him as the Red Hood who “attempted” to kill Mayor Cobblepot aka the Penguin. He encourages teh wounded FBI agent, whose partner was the one that killed in the shootout, to seek medical attention as he puts on his work clothes to trackdown the agent’s killer and the Underlife. 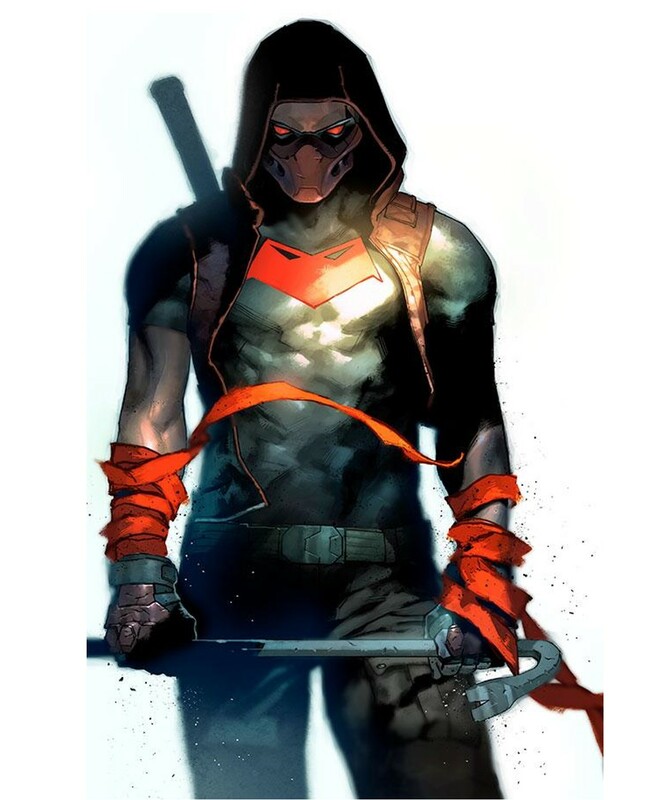 …as the Red Hood strikes. 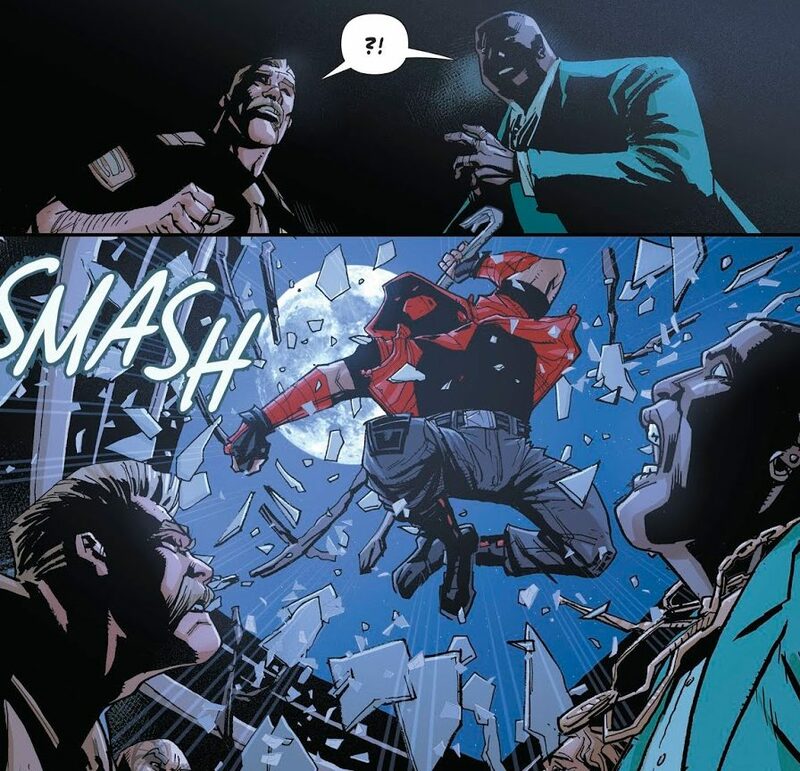 The boss escapes as Red Hood subdues the gang and then corners the Sheriff for information on the Underlife. 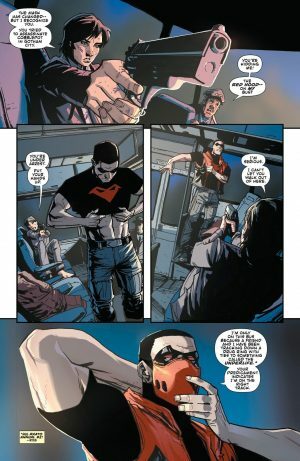 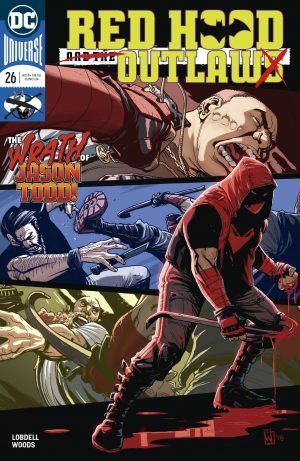 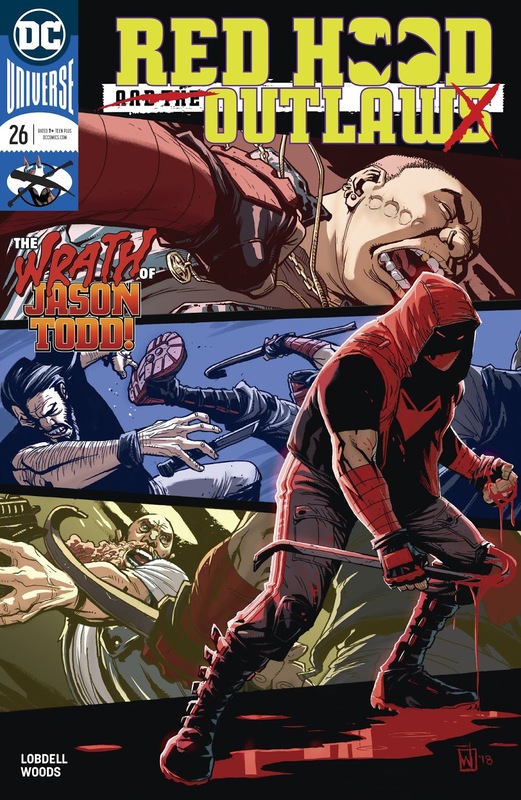 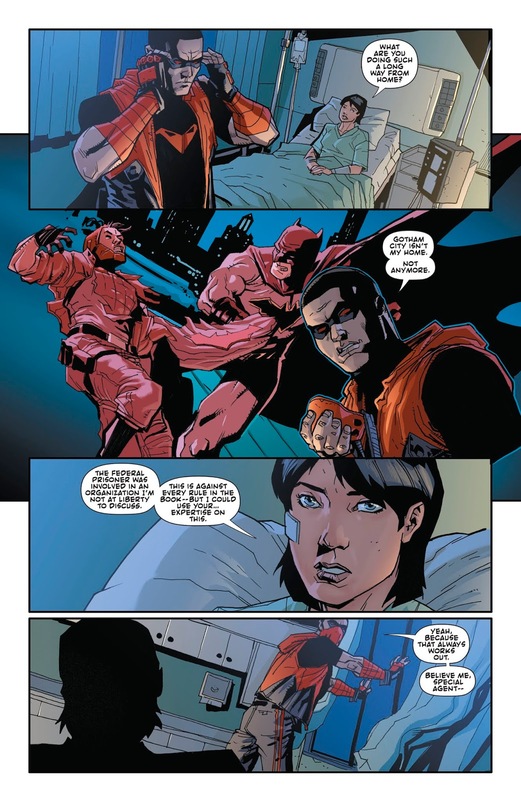 Red Hood tracks down the Underlife boss and left him a “gift” in his car; readers are led to believe its a bomb and the Red Hood sees his death as a justified kill. 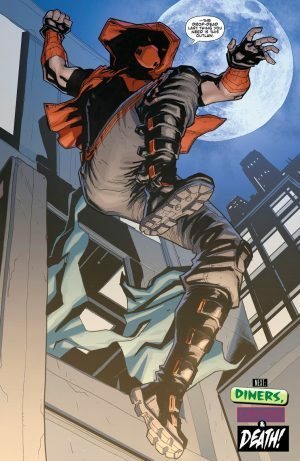 …Red Hood notes she doesn’t really know what she’s getting into; she doesn’t really want to bnotr should she work with Red Hood: Outlaw! 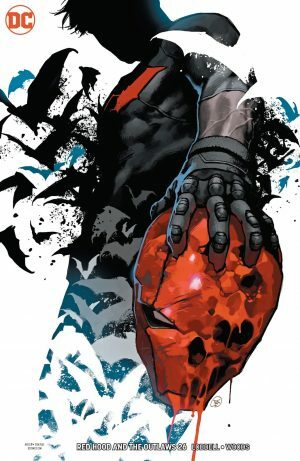 Next month we have Red Hood: Outlaw #27.